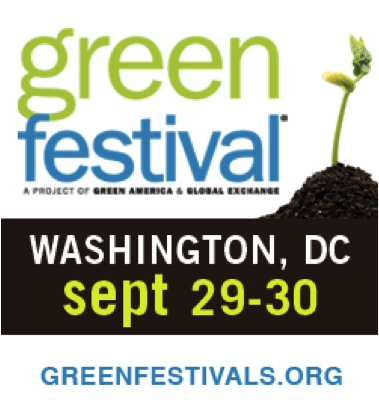 Lynn Miller speaking at Green Festival DC on 9/30! Got weekend plans? Head over to Green Festivals DC, an epic expo of all things sustainability in DC! If you can, come on Sunday (9/30) at 1 pm to hear 4GreenPs founder Lynn Miller speak at the Green Business Stage! She'll be talking about "Crossing the Green Chasm: Marketing Green to the Mainstream." Check out the full event programming here. If you’re in DC… hope to see you there! Green Festival DC Location: 801 Mt. Vernon Place NW (between 7th and 9th Streets, N Street and Mount Vernon Place NW in Washington, DC).